With school out and temperatures rising, the summer months consistently bring an increase in the number of people coming to Matt Talbot Kitchen & Outreach for meals and outreach services. Rather than experiencing the joy and relaxation summer can bring, many individuals living in poverty actually experience an increase in stress. As a result of this busy season, supplies are depleted and we are asking the community to consider holding drives in their workplace or donating items or monetary gifts to help alleviate hunger and stress for those in need. Outreach items needed include backpacks, bike locks, visors/baseball caps, baby wipes/ wet wipes, bug spray, sandals/flip flops, sunglasses, feminine pads, and deodorant. 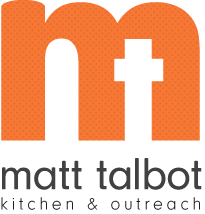 Matt Talbot Kitchen provides a significant amount of food pantries to families and individuals who live from paycheck to paycheck. Food pantry items needed include beans (dried, refried, pinto), canned meat, peanut butter, cereal, oatmeal, pasta sauce, mac & cheese, and dry items (potatoes, stuffing, rice, Hamburger Helper). The community’s support allows us to offer key services to the many vulnerable individuals and families that come to us in need – nutritious food, a respite from the heat, assistance with housing and basic needs, and some bold hope that their lives can improve. Donations can be brought directly to the community kitchen and outreach center at 2121 N. 27th Street. To learn more about Matt Talbot Kitchen please visit mtko.org. For more information about holding a drive at your workplace, please contact Victoria Young at victoria.young@mtko.org or 402-477-4116.